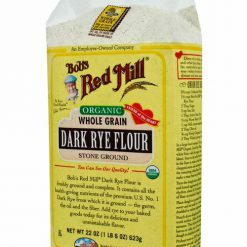 Bob’s Red Mill Organic Dark Rye Flour is a flavorful whole grain flour ideal for rustic, European-style dark bread loaves. 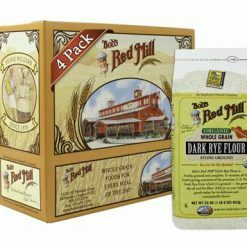 With 20g of whole grains per serving, this flour also offers 4g of protein and a plentiful amount of fiber and iron. Certified Organic by QAI. For over three decades, Bob has been committed to providing people everywhere with the best quality foods available. His passion for health and belief in taking care of one another is as strong today as it was when he first started the business with his wife, Charlee, all those years ago. Bob plays a fundamental role in the daily operations of the business and his enthusiasm and ‘honest-to-goodness’ approach are shared with every one of his employees. 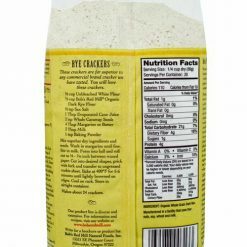 It’s this passion for providing the very best nutritional whole grains that has helped make us the leading name in health foods across the country. 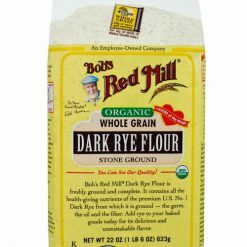 Bob’s Red Mill is proudly employee-owned.